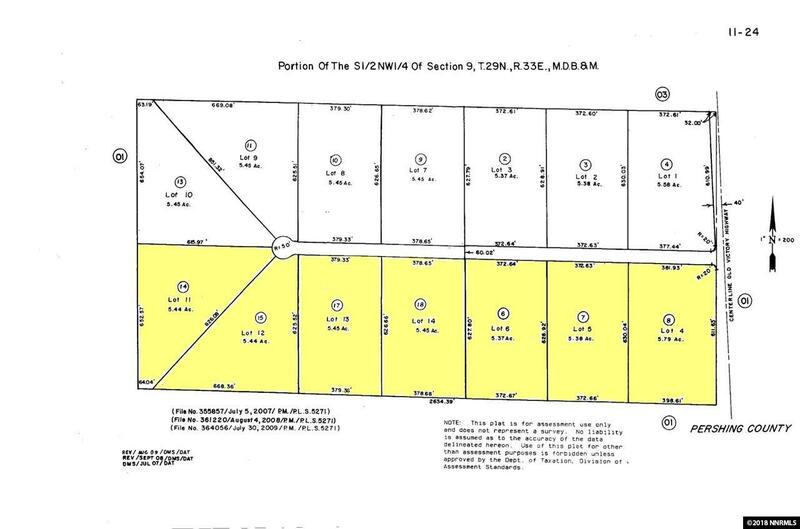 38.32 acres subdivided into seven 5+/- ace lots. Located approximate 1.5 miles south of the Humboldt River Ranch, 10 miles northeast of Lovelock and 45 miles southwest of Winnemucca. 1 parcel has a well. 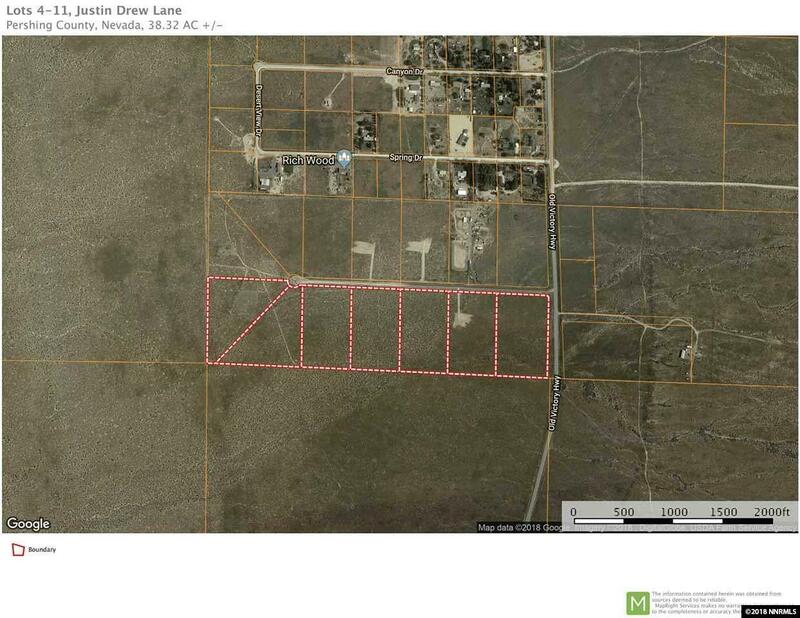 Power poles are located across the road from the east property line, approximately 150 feet away. Listing provided courtesy of Rcm Realty Group. © 2019 Northern Nevada Regional Multiple Listing Service® MLS. All rights reserved. Information is deemed reliable but is not guaranteed accurate by the MLS or Marshall Realty. Real estate listings held by brokerage firms other than Marshall Realty are marked with the BROKER RECIPROCITY logo or the BROKER RECIPROCITY thumbnail logo and detailed information about them includes the name of the listing brokerage. The data relating to real estate for sale on this web site comes in part from the BROKER RECIPROCITY Program of the Northern Nevada Regional MLS and is for consumers' personal, non-commercial use and may not be used for any purpose other than to identify prospective properties consumers may be interested in purchasing. Data last updated: 2019-04-22T09:19:39.037.